SCVHistory.com | Valencia | Story of Henry Mayo Newhall Memorial Hospital. 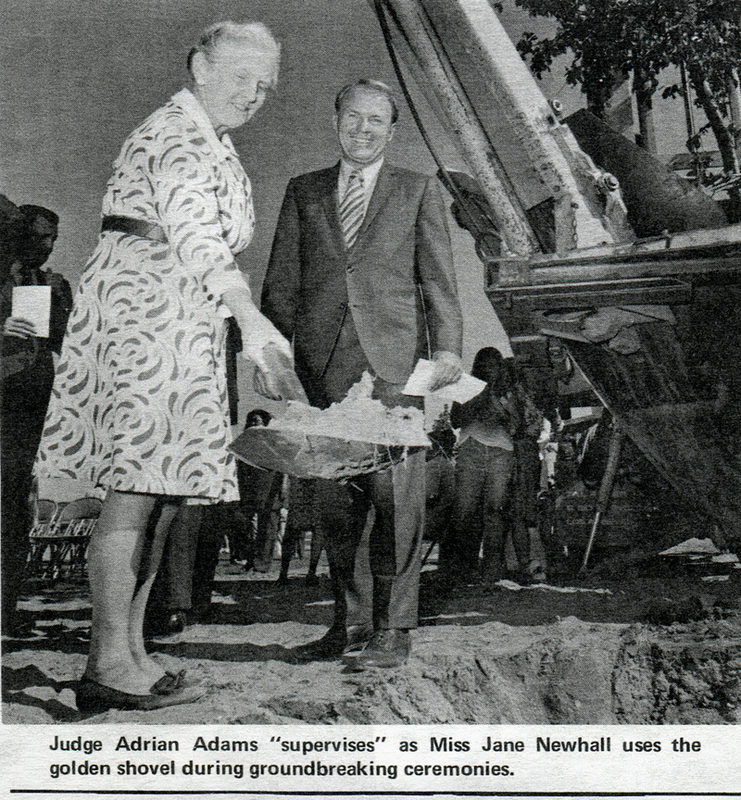 Jane Newhall, great-granddaughter of the hospital's namesake, participates in the September 1972 groundbreaking ceremony with the hospital board chairman, Judge Adriam Adams. Click to enlarge.